More than half a million older Chinese people have lost their sight due to diabetic retinopathy, a major study carried out by Beijing researchers has found. 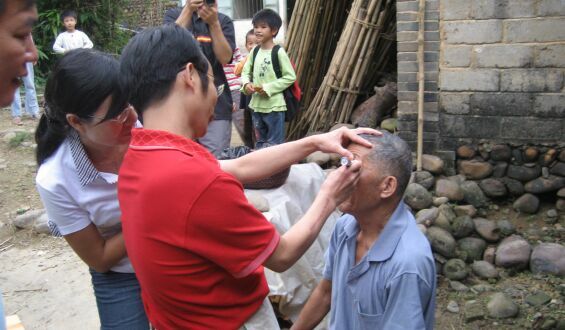 Dr Qi You and colleagues from the Beijing Institute of Ophthalmology, Beijing Tongren Hospital screened a population of more than half a million rural residents near Beijing who were aged over 55. The study involved over 2500 ophthalmology technicians who carried out visual screening checks for retinopathy. Of the 562,788 people screened, 54,155 (9.6%) had a visual acuity of <0.30 in at least one eye. The most common cause of vision impairment was cataract, which was seen in 19,163 (3.4%) of people. Diabetic retinopathy was detected in 2.7% of the population screened. Visual impairment due to diabetic retinopathy was bilateral in 66% of these patients. severe non-proliferative or proliferative diabetic retinopathy. indicates that 514,000 Chinese in that age group are blind due to diabetic retinopathy," they conclude.